02 | August | 2012 | Plan. Shop. Eat. Live. I drove to work in silence this morning. No talk radio, no music. And boy oh boy was it peaceful! I opened my windows, felt the breeze, and heard the quiet noise of the world! Peaceful way to begin my day! 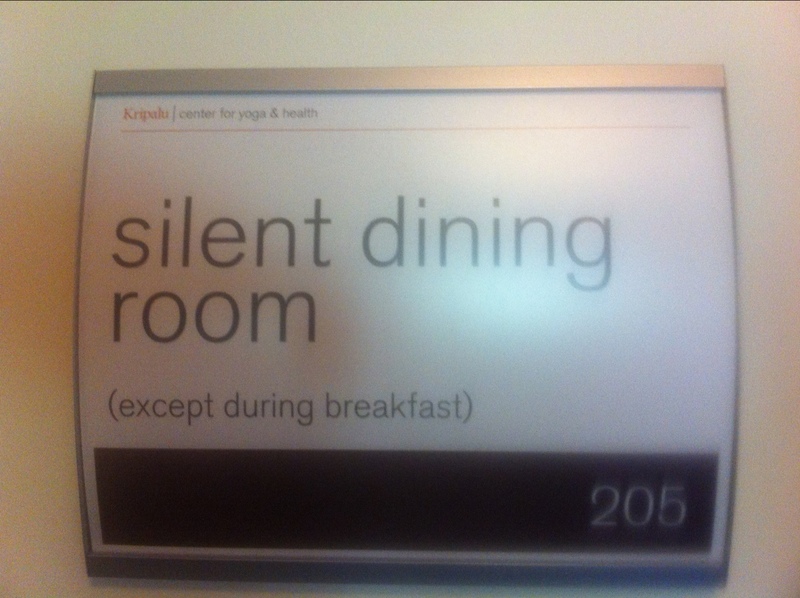 Hey All – Remember that we all had breakfast in silence each morning at Kripalu and how relaxing and peaceful it was? Has anyone tried this at home? I’ve been eating my lunch outside by the Charles River in Boston and its so peaceful!! !